Over the past week or so I have noticed a couple of things which serve to remind you just how much things have changed over the last few years. Dennis Dart 46420 was out and about on the 7 service. 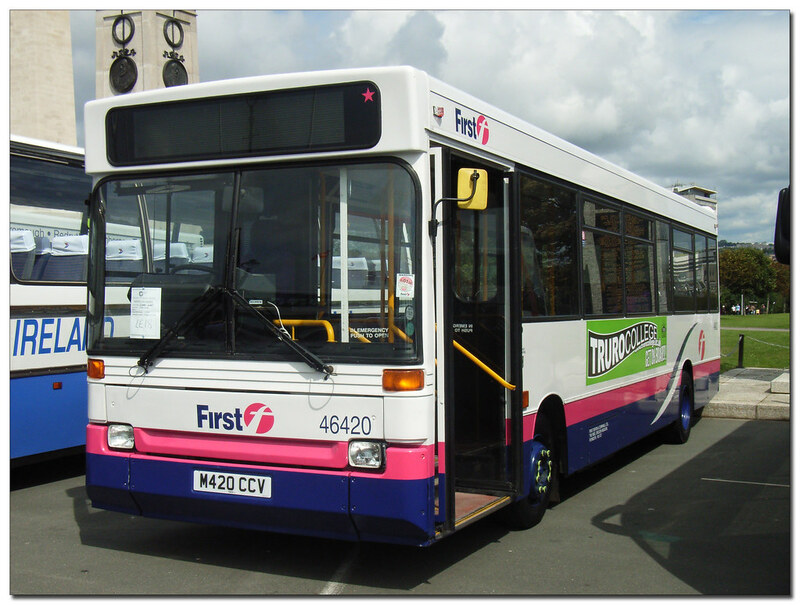 Its been a long time since I saw a step entrance Dart on a Plymouth City service for First. I believe that since then the bus has been noted working on Totnes services. Then on Monday evening whilst waiting at a very cold and wet Derriford Hospital bus stop at 6:30 in the evening a Mercedes Vario in TamarLink livery turned up on a 39 (I think) with a destination of “Western National”. Not seen that for a long time! There was a time when almost all Western National buses seemed to display this rather than any proper destination but most of the Plymouth fleet now have the nice bright electronic displays that work so well in this awful weather that we are having at the moment. the thing about the 39 destination blind is they tacked southway (and a couple others new destinations)right at the end of the roll after near enough every destination they serve in the area with all the plymouth destinations at the other end, it takes nearly 2 mins to roll the blind from southway to city centre which is why you may see plymouth instead of city centre (it comes first) or if they stay at the plymouth end then some drivers just put up derriford hospital instead of southway! it is a real pain that they wont change it! 46420 is a camborne bus, it is here as cover for 47111 which was involved in an accident outside totnes. Um ........... it would seem that the needs of the Company come before customer service. I'm sure that they could have found a replacement bus with the correct blind. And being British the poor old customer suffers in silence.